Let’s open the mystery box that gun safe fire rating is for firearm owners out there. A gun safe fire rating means that a safe is extensively tested for its fire-resistant efficiency in a laboratory to see how well it protects the contents of the safe from fire damage for the advertised period of time. Based on the test, a rating is assigned to every gun safe that has undergone the test. 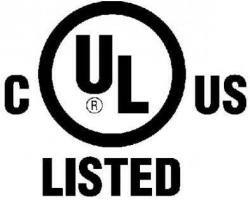 Most safes will carry a label disclosing their fire rating. Generally speaking, all fire tests aim to attain an internal fire resistance temperature of less than 350 degrees. For those who don’t know, papers begin to discolor above 350°. To give you an example over here; a safe with a fire rating of 1 hour at 1,000° F means that if you were to have a house fire at 1,000° F for 1 hour, the interior of the safe would stay below 350° for at least an hour during the house fire. 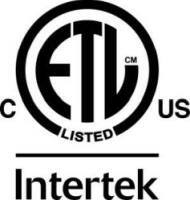 As such, a normal house fire temperature ranges from 800 to 1,200° F. As a word of advice, users considering a real fire protection gun safe must look out for safes that are certified and tested by Intertek Laboratories ETL or the Underwriters Laboratories UL to be sure that the product does not carry a label for the namesake. Let’s dig deeper into this subject to understand the playing field better. To begin with, please know that no safe out there is completely fireproof. Gun safes can be fire resistant (see fire resistant Steelwater gun safes here) for a certain period of time but not fireproof forever. So, it’s not the insurance that you are hoping it to be. Therefore, you can’t store your valuables in a gun safe and hope that it will survive the best of best home fire. Also, in the gun industry, there are no stringent standards on fire testing. So, it’s advised to take all the manufacturer’s claim with a pinch of salt, unless the product comes from a reputable brand. As such, guns may not need that much of fire protection since they are made of metal. However, people do tend to use gun safes for storing valuable documents, jewelry, and other stuff that can get easily damaged by fire. So, it pays to get a gun safe that offers a great degree of protection against fire. Otherwise, you will just get the perception of security and not real security. As hinted before, the devil lies in the details, so do not believe everything that the product description has to say. As a general rule, limit your shopping to products that have good brand backing. Also, check the product ratings from past users before reaching out to your wallet. Previous Article Does keeping a gun at home make you safer? Next Article What is Gun Safe Dehumidifier and Why you Need it for your Gun Safe? Gun Safe fire ratings are unsurpassed in its market and provide the best fire … Papers and documents char at temperatures around 405°F.